Is a Nerve Blockage Device More Effective than Lifestyle Change? Is a Nerve Blockage Device More Effective than Lifestyle Change Alone? Obesity is about more than just the way a person looks. Obese individuals face a greater chance of suffering comorbidities such as type 2 diabetes, high blood pressure, heart disease and sleep apnea. It is for these reasons that many individuals are seeking alternatives to changing their diet and exercising. 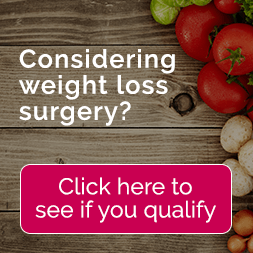 Those suffering from obesity are looking to bariatric surgery for resolution. Along with bariatric surgery are some side effects and recovery that patients are not excited about. Research has developed another option for those obese individuals searching for a solution. The vagal blockage device utilizes electrodes on the vagus nerve to help regulate the digestive tract. The device is implanted into the body and works without help from the patient. The electrodes produce stimulation to assist in regulating appetite and metabolism for 12 hours a day. A recent study examined how well this device worked along with lifestyle changes to alter the weight of patients and found that it was only slightly more effective than lifestyle changes alone would be. A study conducted by Charles Billington, MD with the Division of Endocrinology and Diabetes for the VA Medical Center located in Minneapolis, MN focused on 239 patients having a body mass index (BMI) of 35 to 45. In this case, the BMI of over 25, based on the height of the individual, was considered to be overweight. These study patients also suffered from at least one of the comorbidities related to obesity such as high blood pressure, type 2 diabetes, heart disease, arthritis and other illnesses. Out of the patients being studied, 162 were set up with the vagal nerve blockage device and 77 were given a “sham device” that actually did nothing. The study group patients that did have the true device implanted lost 9.2 percent of their excess body weight. Those with the “sham device” lost 6 percent of their excess body weight. Checked after one year the patients with the device implanted lost more weight than those that had the “sham device” implanted in their bodies. The group with true implants failed to meet their previously set weight loss goals. Those patients that did have the device implanted reported frequent mild to moderate heartburn as well as stomach pain. It was reported that after one year the group of study patients with the sham device did lose a substantial amount of weight. This is thought to be as a result of the constant self-monitoring on the program and the lifestyle counseling that they received during the study. These individuals were forced to watch their actions, food intake and exercise on a daily basis throughout the study making them more aware of decisions they made daily and altering them. There has been further studied ordered to determine the long-term durability and safety of the weight-loss device. It appears from the results of the study that the vagal nerve blockage in addition to some major lifestyle counseling is not substantially more effective than intensive lifestyle program participation for the patients. The conclusion can be drawn that the patients that have been given the tools to monitor their lifestyle and make changes to their habits did nearly as well as those that had the device implanted and also participated in lifestyle changes. The patients without the true implant did not experience the side effects that the others underwent. More studies will need to be conducted to see if improvements can be made to the device to bring about better results. The effectiveness of the device over bariatric surgery is clearly not there any more than the effectiveness of lifestyle modification over bariatric surgery.